‘Glastonbury went ahead, but many events fell foul of the rain’. 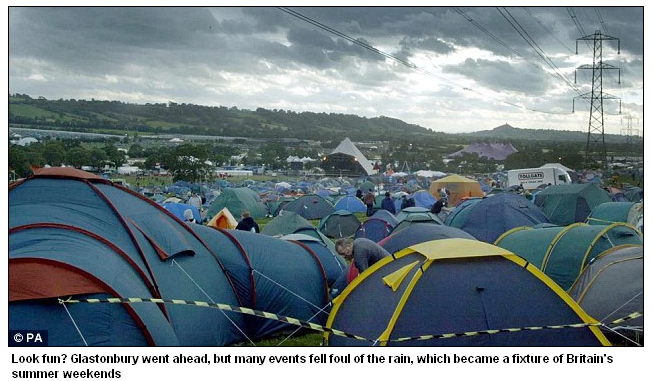 Speaking to The Mail on Sunday, festival organiser Michael Eavis confirmed: ‘We have decided to cancel in 2012′. has there been a family drama called relativity and if not, why not? oh, there has? okay, well, good.